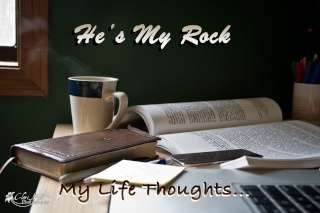 He's My Rock: Why I don't plan to choose joy. Why I don't plan to choose joy. I'm not choosing joy. And prayerfully, I do not plan to. I hear the term 'choosing joy' everywhere. Most often the context where I hear it is when someone is going through a rough time and they said, "but i'm trying to choose joy." Or when someone is encouraging someone else who's going through a rough time and they say, "you just need to choose joy." Can I be blunt for just a second? Typically, in that context, choosing joy is a one, big, fat, lie. It's important before we use that term to understand what, true, Biblical joy actually is. I made a post about joy a few years back and I didn't really put in a lot of verses and stuff I should have. 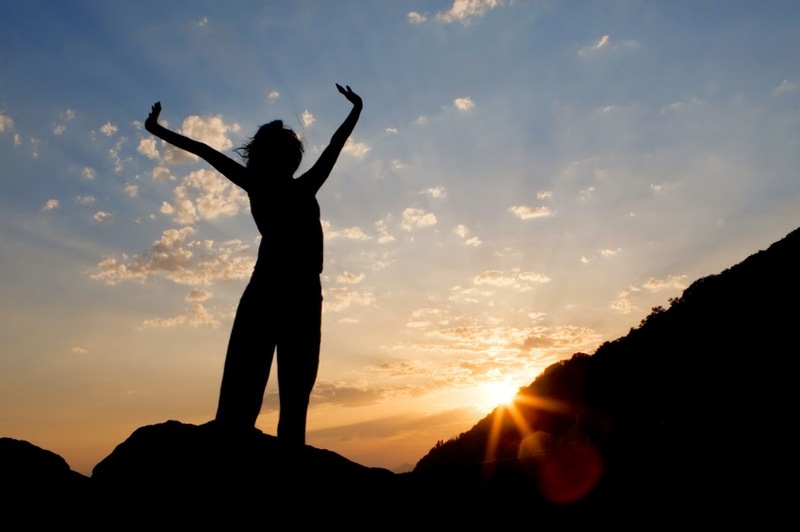 First big thing to understand about joy: It's NOT that selfish need to feel 'happy'. It's not that, 'Yay, I love life because everything is fun and it's going great' feeling. Joy is NOT an emotion based on our circumstances. 1 Thessalonians 5:16, "Be joyful always, pray continually, give thanks in all circumstances..."
Biblical joy is finding constant contentment in Christ no matter the circumstances. It's rejoicing, even in our sufferings. But that's just the beginning of it. Or rather, just a small part. If you want to know more about what joy is, go open your Bible. Seriously, it's crazy jam-packed full of what joy is and where it comes from and what it does. So back to my main point... why I'm not choosing joy. When we are born again and accept Christ into our lives as our Lord and Saviour, admitting we are sinners in need of his forgiveness, His Holy Spirit fills us. And suddenly, we have have the wonderful and amazing ability to complete joy - complete contentment in Christ. I feel like so often when people talk about choosing joy, they are referring so much to that selfish, fleshly desire to be 'happy' and missing the whole point. It's not about us!! It's about Christ. We are called to be joyful. To be joyful IN CHRIST. We are called to choose Christ above all. But guess what??? When we choose Christ, we are filled with His joy! Joy in Christ. Joy in the Creator of the Universe. Joy in the God of yesterday, today, and forever!!! God is so incredibly gracious and merciful. We do not deserve such an amazing gift as finding joy in Him. And yet, He gives it so freely when we seek Him. So, it's not a simple, 'today I'm going to choose joy and be happy and smile.' NO NO NO. If that's your through process, you're way off track. It's an attitude of, 'today I will seek Christ. I will seek Him in my actions, thoughts and words, knowing that through Him, I have all I need. And IN HIM, I will find joy." I know this is something I need to be working on a lot more. Choosing Christ rather than seeking to just 'find joy' so I can be 'happy'. So that's what I'm not choosing joy. Prayerfully, and in need of much grace along the way, I desire that I will spend the rest of my life choosing Christ. And in doing so, knowing that IN that, I'm choosing joy as well. Every day. Every moment. Every breath. *Disclaimer: I've read some really fantastic posts, status and heard some really cool things said about choosing joy and I in no way am trying to contradict those. I just am stressing what I have been convicted of, our focus in choosing joy is so often off. Oh wow I loved this! I also love when people say really contradictory things that sounds like its full of crap at first but actually turns out wise. lol. I do things like that at times too.